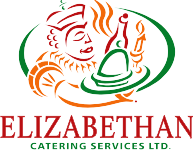 Bar Services - Elizabethan Catering Services Ltd. Thank you very much for your inquiry, regarding the Bar Services for your event. There are several options available to you and all of them are listed below. Please note that whoever carries the liquor license must be responsible for the entire liquor supply. We will provide branded soda mix (coca-cola), popular juices, ice and all other bar supplies. Please advise of any specialty mix requirements for your bar. Extra charges may apply. Please note that corkage requires elizabethan bar tending at our posted rates. We supply all corkage and alcohol, including a licencing fee. Bartending fees will be invoiced accordingly. If client is supplying all alcohol, client is then responsible for the cash, tickets and ticket seller. Elizabethan will not manage any money that belongs to the client. If client is supplying the ticket seller, they must be 18 years old or over, but do not need pro-serve certification. You can certainly provide all liquor for your own bar. Please make sure that if you do provide your own liquor, that you also provide your own liquor licence. It is extremely embarrassing, if we are providing bar tenders/wine stewards and there is no liquor licence to display. We cannot serve liquor until we have a liquor licence on site. Also, one helpful hint is to make sure that you arrange with your liquor provider, that there is no restocking fee, upon returning any unopened bottles of liquor. Bartenders are only available with either corkage or full service bar options.